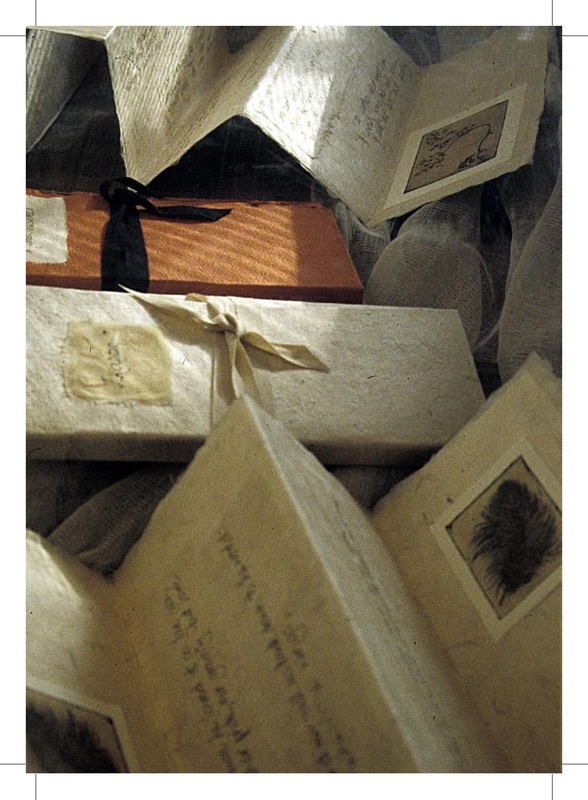 Jean Johnstone creates hand-made, hand-scripted artist’s books featuring etchings and drawings, with texts by contemporary poets from Scotland, Ireland, America and Catalonia. Her latest commission is from St Andrews University Library to create an artist’s book to celebrate the university’s 600th centenary. Her etchings have been selected for Visual Arts Scotland, the Royal Scottish Academy and the Royal Academy. Exhibitions include The Fruitmarket Gallery, The Crawford Arts Centre, Edinburgh Printmakers, Scotland House, Brussels, and Stavanger European City of Culture. Solo shows include the StAnza Poetry Festival and the Scottish Poetry Library. 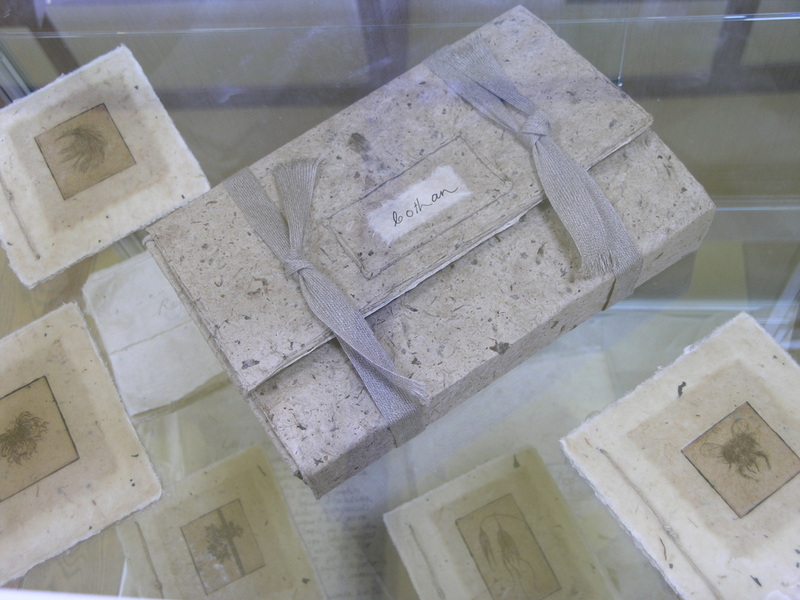 Her artist's books are collected by the National Library of Scotland, St Andrews University Library and The British Library. 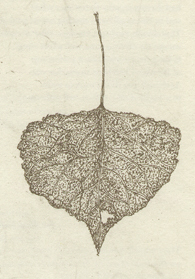 'Lime Leaf', etching, 11 x 7 cm.